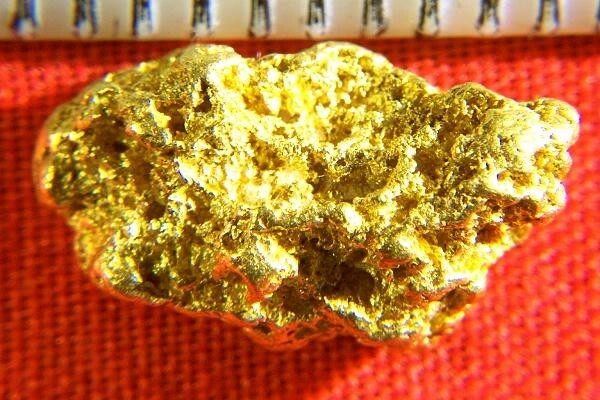 This beautiful natural Gold Nugget is from Western Australia. It weighs in at 3.64 Grams (56.1 Grains) and measures in at 9/16" (15 mm) long. The color is amazing and it is fat and chunky with lots of texture and character. 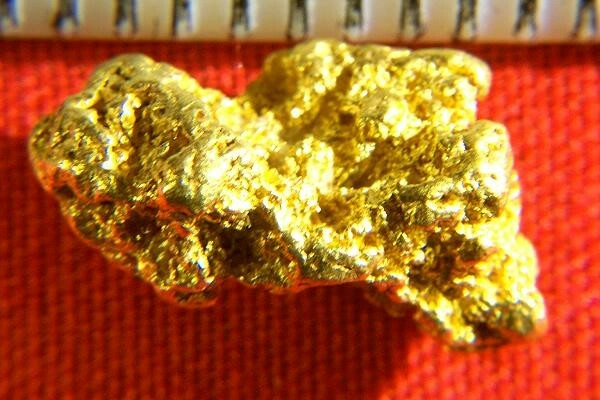 A truly gorgeous natural gold nugget. It would make a great investment or a nice addition to your collection.